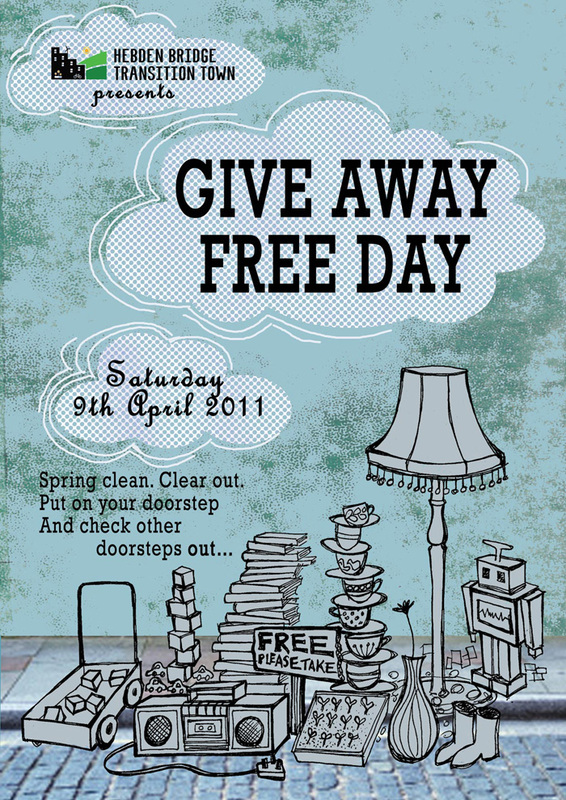 This was an event by Hebden Bridge Transition Town's Waste Group - the poster was an invitation to put things you no longer wanted outside your house with a "Free" sign on them on a certain day. There was a stall in the square with a map of all participating houses so people could do a tour of the neighbourhoods. The Free Economy! Drawing, scanned in textures and Photoshop.